We first met Mike Blanchard & the Californios in a auto garage in Sacramento. Sounds like the typical fairy tale meeting right? 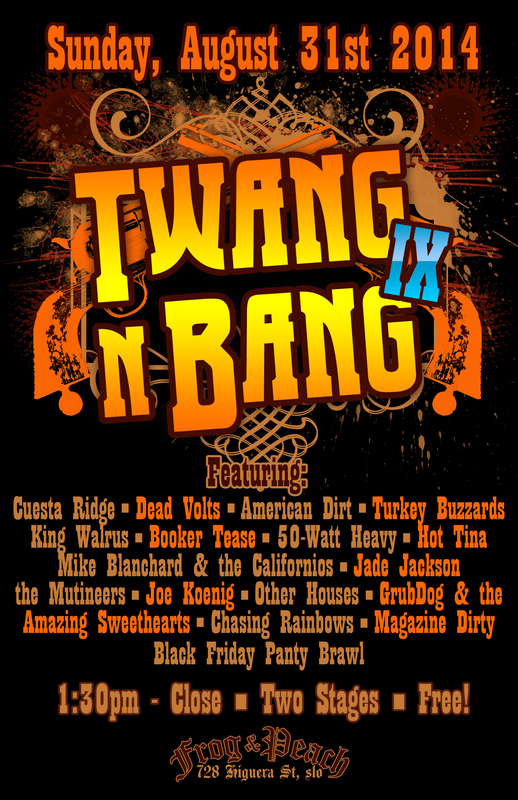 We knew right away that they’d be a great fit with Twang N Bang because someone has to bring the Twang heavy right? We went ahead and adopted their 2013 release “Gringo” which we expect to see a new pressing of soon but more importantly we look forward to helping get out some brand new music from these folks for you in the near future. So take a listen to their tunes and then come see them at Twang N Bang IX at the Frog & Peach Pub in SLO on August 31! 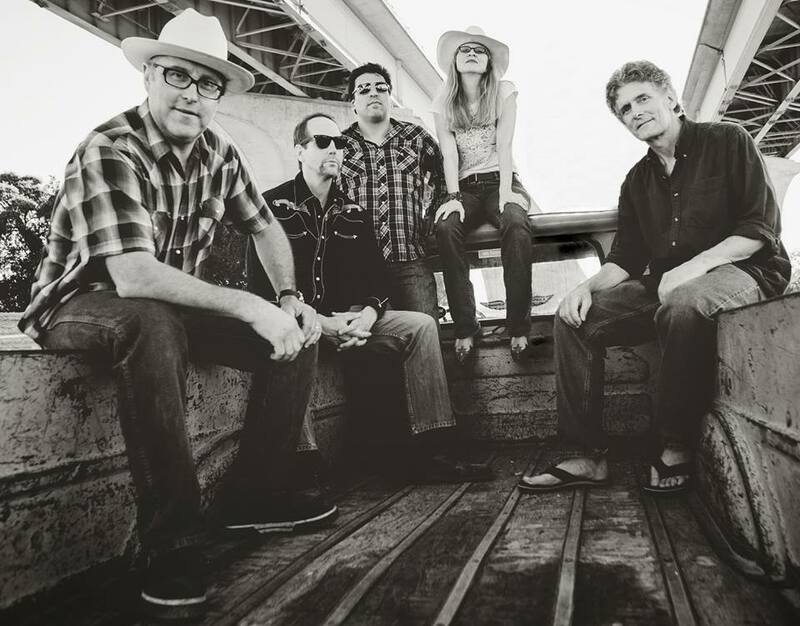 Welcome to Twang N Bang Mike Blanchard & the Californios ! Hope you survive the experience ! Things have been kind of quiet over here for some time but we are starting to ramp up again with some killer releases and a few shows to boot. 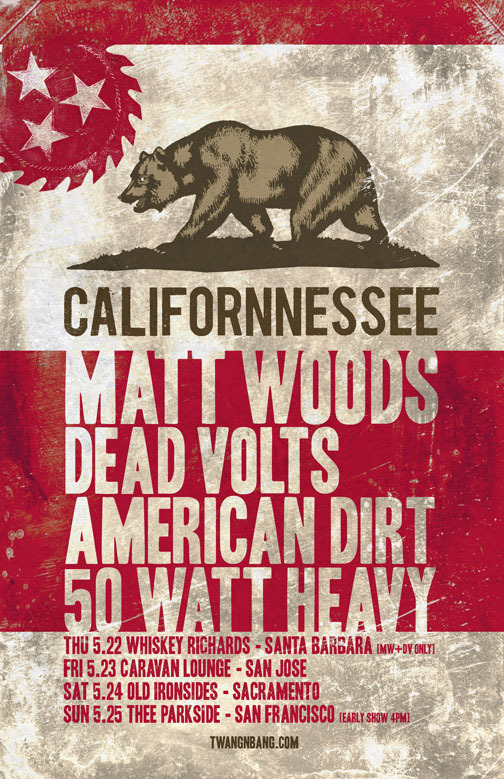 First up is the “Californnessee” tour that will see Matt Woods (Now with Drums! 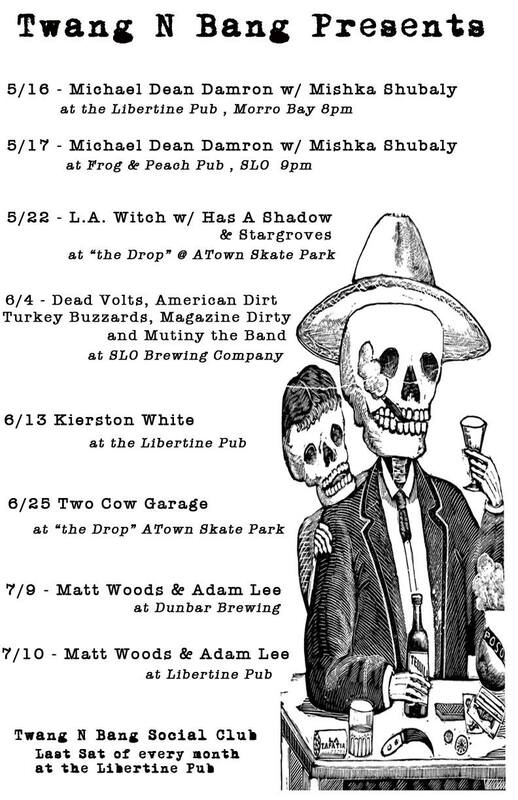 ), American Dirt, 50 Watt Heavy and the Dead Volts playing a round of shows together in May. It’s a killer line-up for a tour so try to make some of those shows if you can. We have a few upcoming releases to get excited about to. A split 7″ from two of our favorite artists as well as two full lengths from artists already on the roster. We will be announcing all of this very soon.